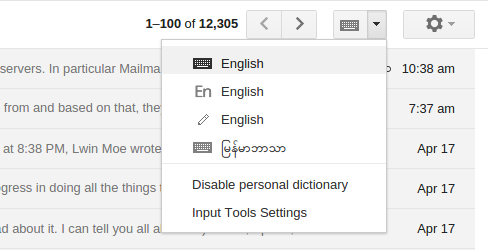 I noticed just today that Gmail has a keyboard icon on the right corner even though it's been around for a while. There are two Burmese keyboards that you can activate and use. It's great. We need more Unicode support right out of the box. The following lesson by Amos Yee on how to speak Singlish is hilarious. Please note that he has recently been in trouble for criticizing the late prime minister of Singapore, Lee Kuan Yew. On a more serious academic note, Singlish is an example of pidgin and creole. In the age of smart phones and social media, everything is recorded. I sure wish I had a smart phone while living in Burma, Thailand and Laos 10 years ago. The following YouTube video of NYC police abuse was posted by Sanjay Seth (https://www.facebook.com/sanjayseth). News media picked it up: HuffPost, DailyMail and CNN.